Taking care of your skin to prevent and reduce the appearance of signs of aging like fine lines, sagging skin, and age spots can help to keep you looking as young as you feel. 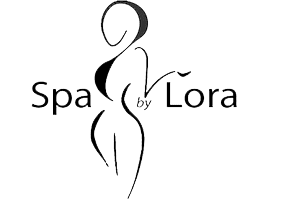 You can enjoy a variety of luxurious anti-aging treatments at both the Bucktown, Chicago and Ravinia, Highland Park, Illinois locations of Spa by Lora. Contact your preferred location to schedule an anti-aging consultation today. Many factors contribute to the development of signs of aging like wrinkles, age spots, and loose skin. As you get older, your body produces less collagen and elastin. These are the fibers in your skin that keep it smooth, plump, and supple. This is where your genetics come into play. You may naturally produce more or less collagen and elastin than your friends or colleagues. Your diet also contributes to your appearance. Drinking plenty of water is critical to keeping your skin hydrated from the inside. It also helps your body to flush out toxins. You should be drinking least half of your body weight in ounces every day -- more if you exercise or live in a dry environment. Sun exposure is another factor that contributes to the development of wrinkles and age spots. The UV rays in light damage your skin, causing melanin to build up, causing age spots and discoloration. It also damages collagen and elastin, leading to fine lines and wrinkles. Lora offers a variety of laser treatments to address issues like hyperpigmentation, age spots, wrinkles, and loose skin. LimeLight® IPL reduces the appearance of age spots and other photodamage. The treatment is customized to meet your specific needs resulting in a clear, youthful complexion. The Laser Genesis facelift uses micro-pulses of laser energy to stimulate collagen production. This improves the appearance of fine lines and wrinkles while reducing age-related skin discoloration. Titan® uses light energy to stimulate new collagen growth, resulting in tighter skin on your face, arms, abdomen, and legs. 3D Revitalize Therapy combines LimeLight, Genesis, and Titan to target signs of aging with three different forms of laser energy. Treatment is customized to address your specific aging concerns. If you are ready to fight the signs of aging or want to start a preventive skin care plan, contact either the Bucktown or Ravinia locations of Spa by Lora in Chicago and Highland Park, Illinois. Lora offers comprehensive skin care consultations to identify the best anti-aging treatments to keep your skin healthy and youthful.